My beloved Masters and friends came to the Planet on a blessed day, March 19, 1953. It was Father's day. When I became aware of it, I began to dedicate this day to St. Joseph, and offered him the Flower of the Angels, a Bordão de S. Jose and called him Father of my Light. Despite being a Catholic of baptism, I did not like religions, so little of prayers, that I always interrupted because I did not identify with its vibration. I had enough disagreements with those who surrounded me because of social disqualification. A God that I knew was not mine, there I looked up at the sky and I knew with clarity that God was a supreme energy. It was not easy. And it's about the prayers I'm talking about. Why can not I pray? I speak with nature, with the birds, with the rain, the sun, the stars. I embrace the trees and contemplate the details of the flowers. But he could not pray. I spoke with the stars and understood the language of the birds and in my silence I cried the hunger of the world, the wars, the absence of dignity in my most deprived brothers. Everything I felt in my heart. The pain of others and impotence as well. In my way I assumed my losses and achievements, and was endowed with the great blessing of strength to transform and never give up. That I was weakened was as if a sword fell on my right hand and strength and faith were automatic in me. I never felt alone and never had to see to believe, I knew I was not alone. And when they asked me how I could have so many certainties, I would answer, "I do not know how I know, I just know that I know". I always found a way to give strength to those around me, to rebuild lives, and to renew the strength of those who had lost it. So it was. But it was a walk that was so lonely and unenlightened. I have always loved and always loved everything I had with infinite gratitude. I never complain about my problems, and I accept everything as learning. I endure my pains, always facing everything with clarity and evolutionary purpose. But still beloved Masters. I do not know how to pray I am a being blessed by the strength and consciousness that guides me. I practice silence, I contemplate and touch the details with my heart. Jesus was my great friend and Joseph father of my light, I learned to feel and I speak with the soul, with the heart, but I have difficulty in words. I say the Divine Mother, the Archangels, the Old Blacks of Light (who were my spiritual signal) how much I feel unable to pray the prayers. I feel guilty, and I weep for how much I feel for the indiscipline of prayer. And so I am grateful for this opportunity to directly place this my inner conflict, my brothers, friends and companions of these 65 years of my walk. I know I'm here right now to serve Gaia. I took a Quantum Course of the Violet Flame and used this knowledge to serve Gaia, and to help my brothers and the kingdoms of nature. I can clearly see the Violet Flame on my mental screen. I invoke the blue and green flame and with the three flames I help humanity and Gaia. I always feel my hands very warm in the invocations I make, and I have already had some small manifestations on my mental screen. Lately I have not seen very defined faces. Is it because of this difficulty of praying? 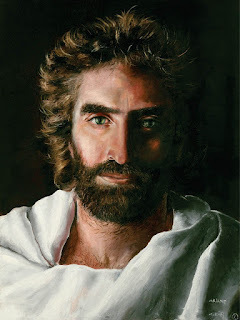 Beloved Masters, I know that there are brothers and sisters who need more of your help and of your time. I can wait for your answer, without time, because nothing I present is urgent. I just want to know your orientation to my case. Despite this, I feel a very Blessed Being! In Light and Love Embrace you! My sweet sister, the greatest prayer is not in words, but in the way of being. And you pray for simply being incarnated on the planet. Your life is your prayer, your vibration is already a prayer without saying a single word, because the best prayer comes from the heart and not from the lips. But there is something my sister would like you to look for within yourself. I would like to call this something, which is to learn to receive. Life is a flow of surrender, of love, but above all of exchange of energies. There is something within you that prevents you from receiving because deep down you do not feel worthy to receive our love. But we are here to grant you our love, our peace and all our compassion. You only need to open yourself to this, to our love and nothing else. It needs to feel good to receive everything we have to give you, because as I told you you are your own prayer just for being here and just so it is worthy to receive everything we have to give you. We just need you to accept this by anchoring your own love, feeling loved, and from there you will see how easy it is to pray with your lips. But as I told you, it is not this prayer that we expect of you, but that which you have always done in this life, the prayer of the soul, of your vibration of love. You have always prayed, you will always be praying, from when you wake up to when you fall asleep. For there is a beautiful heart inside that vibrates and this is the most beautiful prayer you can ever do. Gratitude for the opportunity to serve you my beloved sister. Hello dear Masters. First and foremost, I am eternally grateful for all that I have learned from you, our galactic brothers and all beings of light who support us. I've changed a lot since I started my awakening. I just want to get in touch with the light beings, my mentors and friends, you know what's in my heart. I see other people reporting experiences and I feel unworthy, I wonder why I can not. It makes me sick sometimes. Could you point out to me some exercise that can help me connect better with you and my Higher Self? I am grateful for this opportunity. A big hug. My dear daughter, you already have contact with all beings of light. They are right on your side now. And there is nothing that is not open to you. But you must understand that every soul has a purpose, every soul goes through its experiences. And I tell you, what good would it be to have contact with something external, if we do not open our own purification to our heart? You see, it's not a question of merit, not even moral, not at all. First is the purpose of soul in this plane, second is the inner opening to our own feelings. It is seeking to look at ourselves with truth and wisdom. And this has nothing to do with the light of our soul or with the moral advancement of our being. Its purpose for the moment is not linked to extra sensory experiences, but not because it is smaller or less elevated. Simply because that would not even help you. What my sister needs is to open up to her feelings, to her emotions, to seek within you what still restricts you in this life. What are your fears, your attachments, what makes you still arouse the wrath against the world. This is what you should seek with sincerity, because from your feelings you will be more attentive to your body, the shivers, the energies that surround it. For you see, you are in an environment where innumerable dimensions coexist in the same space, but at different vibrational levels. But as we face ourselves and be sincere with ourselves, we will begin to hear more of our bodies, our feelings, and be the door to the greater experience. Openness to the heart, to the inner gaze. This is the door to receive and feel our presence. Be at peace, my sister. Very grateful for the opportunity, I am working as a lookout on a farm, and at night on 12/24/16, around 10 pm, I saw two clear lights in the sky, one larger and one smaller, appearing to be a beacon illuminating the clouds , Running in circles, meeting one another. I showed some people and everyone was delighted, we prayed, then the lights stopped and disappeared, minutes later two larger and two smaller ones returned and then several lights, all in circles, passing over me, seeming to be joking, stayed until At 2 o'clock in the morning, then they disappeared, I tried contact with thought and words, and closer to them, but they moved away nothing was established. 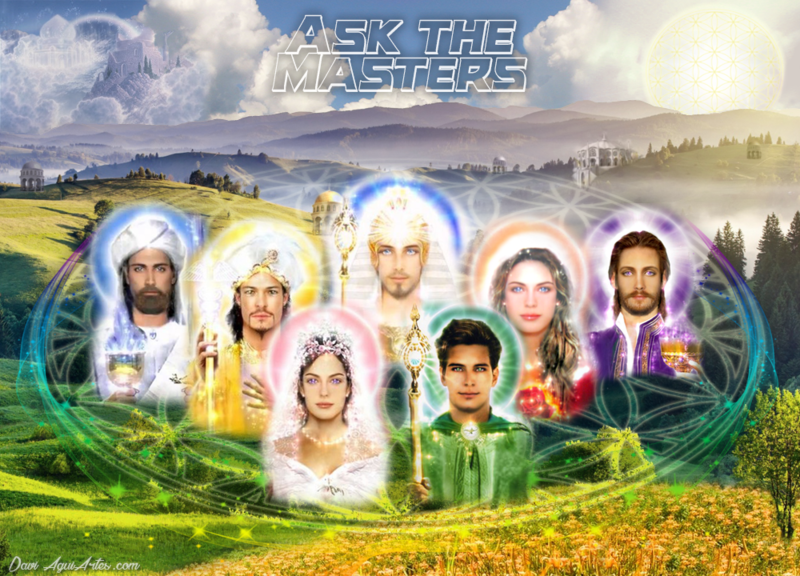 I would like to ask the Masters what these lights would be, what seems to me to be Beings, what are they doing there? Greetings, son, these lights are nothing more than the call to see how much there is in the universe, that the world is much bigger than it thinks to exist. These lights appear to you to awaken the greater reality, so that you seek to live outside the box of the world that binds you to a lesser reality, when there is much more around you. This is what we are asking when we show ourselves to you, so that it expands in wisdom, but always with humility, with love. We do not ask you to tell the world what you've seen, it's not that. It is only so that you believe that there is much more than you have been taught, and that from this inner truth, seek within yourself your own expansion, but always respecting the moment of each being, never imposing your truth on others. Keep your certainty and from it expand your inner world. That's all we ask of you now. Dear teachers. I write them because I need a lot of help. Since I was a child I was quieter and more isolated and I felt afraid, but in 1998 I began to feel very sad, I cried almost all day, I felt fear, insecurity, desire to sleep all day, I did not want to leave the room anymore, Talking to no one, I lost my vanity, nor taking a shower for myself was possible, I lost my will to live, nothing encouraged me, I was not disposed to anything, even willing to take my life in the room alone. Today, I still feel the same feelings, my life seems tied in every way, everything I try, I'm frustrated because nothing works, every day I'm getting worse, I wonder why I'm here if I can not get my Life changes, what I can do, in addition to making use of antidepressants and doing (recently) therapy. What is wrong? I can no longer not feel the desire to live and feel these horrible sensations of sadness, frustration, low self-esteem, stagnation, it seems that something holds my life so that I live humiliated, always with fears and insecurities. What can I do? I can not take it anymore. Thank you! My beloved sister, greetings, I am Rowena and I come today to bring you a little of what I have most precious, my love. I ask you to close your eyes for a minute, take a deep breath and feel my radiance to you. At that moment I enfold you with the flame of love, embrace you with the noblest of feelings, love. Let the tears come, let your heart expand so that I can show you everything you have inside you. Today my sister, many consider me and call me a teacher, they say that I am the mistress of love because I anchor the pink light in the terrestrial orb. But my sister, how much bitterness I have come here, I suffered for love, for not liking life, for not feeling well, were hard proofs of love. But from these tests was where I started to get involved with love, but not love for something external to me. It was a love that, after suffering so much, brought me liberation. I broke free when I loved myself. I know that today you think it is difficult to find this love, but my sister, I already see her released from all this restriction that touches you. I know the bitterness that holds in your heart, but from the flame of my love that I give you now you will be able to feel for a brief moment your own love. And this my dear, will be the seed of the rose that I plant in your heart. This seed that I leave now in you will become a beautiful flower that will blossom in your heart to radiate you from your love. And from this love you will free yourself from all this restraint you keep. I only need my sweet sister to trust you, nothing more, only that from my love allow the expansion of your heart, so that I can lay the seed that will enlighten your life in devotion to God. Dear Masters, I am in the last year of a PhD in Philosophy. I have devoted much of my life to this area of study, and next year I will probably work as a teacher. However, with my awakening, I realize that Philosophy as a three-dimensional, linear knowledge (which at times confuses others that it clarifies) no longer has anything to offer to the new quantum and intuitive world that is emerging. I feel as if my mission as teacher of this knowledge is useless, even questioning me if this is part of my soul mission. I am grateful if you can give me some light, because I am not seeing much sense in this new mission that I am embracing. Gratitude. Beloved son, do you realize how questionable you are? So will it be a key point of support for the New Age vision in your midst? You will be able to disseminate what you know about the true reality, not just what you have learned in your studies, with the titles you have earned, and accessing the means where you will work. It will make the links from the real to the not real, from matter to non matter. It will make your students and fellow teachers question each other about everything they have already learned or already know. You are an important part of this transformation. Just allow yourself to be what you truly feel and establish the connections in people's thinking so that they understand, from what they can already understand as real, the connection to the New World that will bring them. The incognito is a good thing, my dear brother. The doubt, the questioning, the discomfort that will cause in the minds linked to the matter that you will have contact, are exactly the doors of entrance so that they begin to perceive and to look for new ways to understand the world and the life. You're on your mission, yes, son. Allow opportunities to open up and take your essence to transform your environment. Hello beloved Masters, I have sought to find the purest Love and spiritual connection in my life, but I see the difficulties increasing in all respects. I noticed a self sabotage and a lack of self-love, difficulty with the family, and many internal wars, depression and anxiety. I'm looking for the best of me, a way for my life. Why do I fail to find pure and beautiful love in my life and within myself? Beloved daughter, I see you trying to surpass the strongest waves of life, but without a lift. In the anxiety of discovering the ocean, it has made incessant attempts to surpass the waves, that brings back again to the margin. Walking on the shore, my daughter, is not bad, it is not suffering. It is not beautiful as the ocean looks, but it has its beauty when it perceives the learning that collects there. Focus on the shells that exist on the shore, walk on the shore a little daughter. Be more present there in this phase of structuring and strengthening, so that you can be prepared to one day look at the ocean. All visions of life's experience are beautiful. The shell on the shore, the glow of the ocean and even the fight against the waves to get to it, is beautiful. The daughter question is that in this life, several stages are part of the process of learning and liberation, but every time you try to skip some, the waves of the sea bring you back on the sidelines, to finally conclude that step you try to jump. When you accept to walk on the shore, and when you perceive the beauty that is in each stage of the process, the waves gradually calm down until the sea appears to you in a clear and clear, smooth as the sky. And so, you can overcome this phase, which divides the edge of the ocean's discovery, but with lightness and joy. But the waves will only disappear daughter, when you realize how beautiful the shore. For only from the shore will you have the sight of this calm and clear sea. When you reach the ocean, you will no longer have such a beautiful sight, that it was part of a singular moment in your existence and that you will never return. Allow yourself to live every stage of your life, my child.